We do not get much of an opportunity to get dressed up these days – living the life of a mama in utilitarian though interesting clothing. So to me an event like the Maker Faire is time to get dressed up! 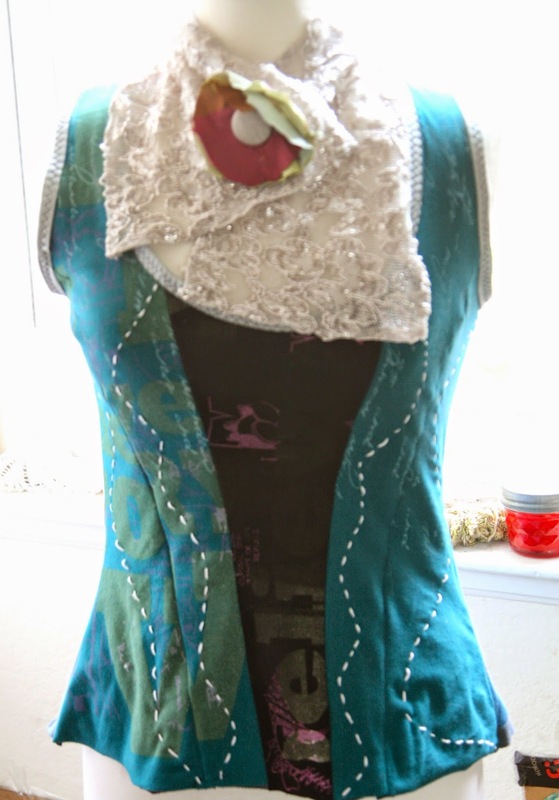 I am volunteering at Swap O Rama Rama this Saturday for half the day and I thought it would be good for the would be sewers to be inspired by an upcycled outfit. 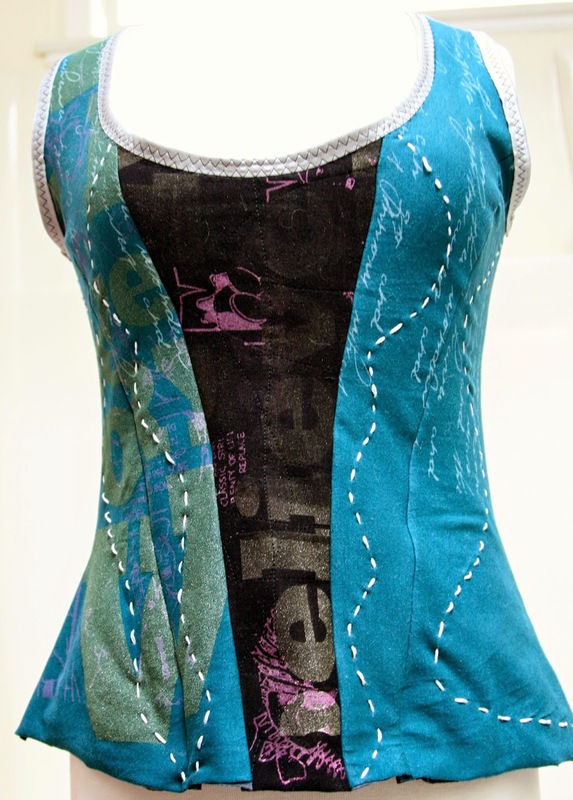 Alabama Stitch Book takes all the credit for the corset as it is a pattern in the book for a reverse applique project. 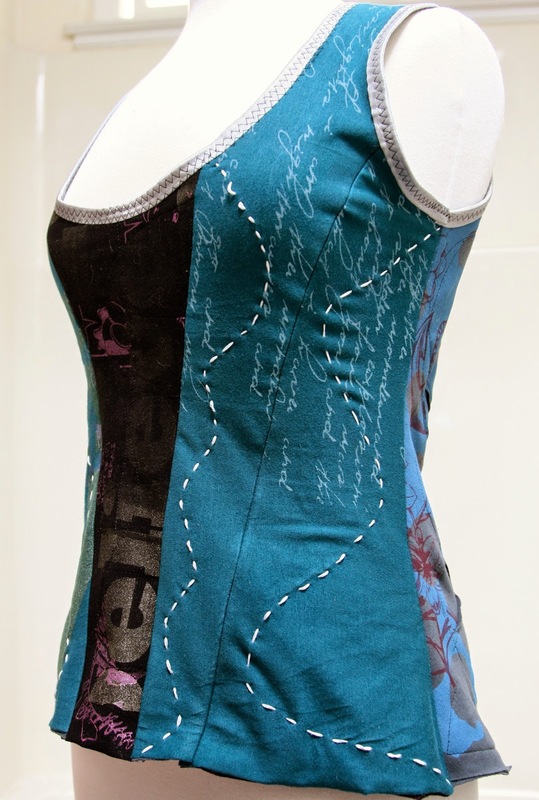 This matches the skirt I made a couple of weeks ago using the same repurposed tee shirt fabric from FabMo. Checking out the weather it will be a bit cool on the weekend so I am adding a shirt underneath with the scarf and brooch in the pic. Should be a fun, yet practical outfit to wear for the day! 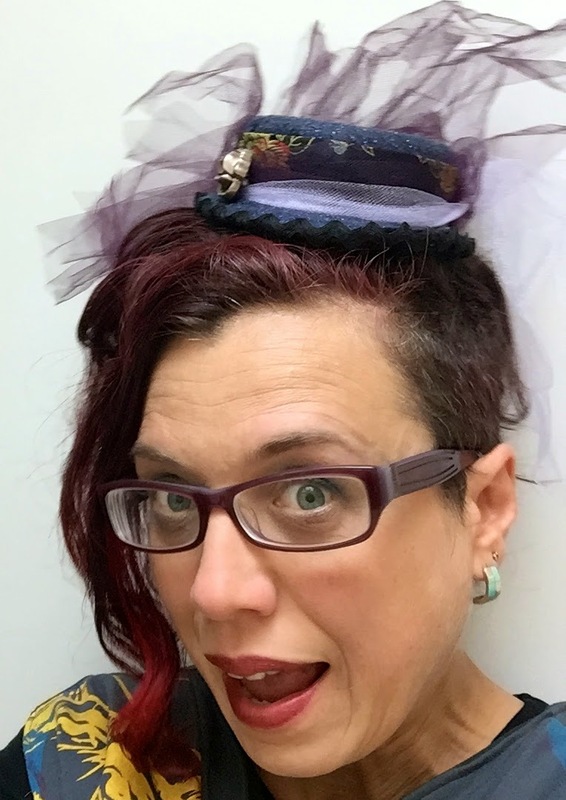 The fascinator was from a tutorial I found on Pinterest using a mascarpone container. The tutorial I found uses a cup so that sat higher on the head. I like how this came out it is a cross between a small bowler and an air hostess all jazzed up! 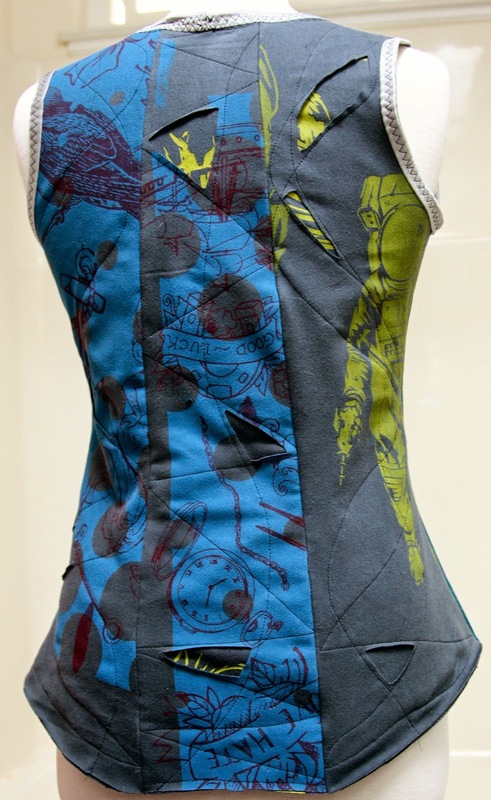 The back – machine sewn as I ran out of time on my sewing day which was mothers day!